There are of course plenty of recipes from around the world for sesame seasonings, Japanese gomashio and Egyptian dukkah for instance. I made this one originally though as a seasoning for a soup! So I made this sprinkle to season the stock, and it worked very well. And oddly, it smells just like crispy bacon! But tastes nutty and savoury and so so moreish. And in case you weren’t already convinced, it’s amazingly simple, just three ingredients! Can you tell it’s my new favourite thing? First toast the sesame seeds. I use a small cast iron saucepan on a medium heat. Tip the sesame seeds in when the pan is cold. Stir them every 30 seconds or so until they are warm enough for the scent to start to rise from the pan. 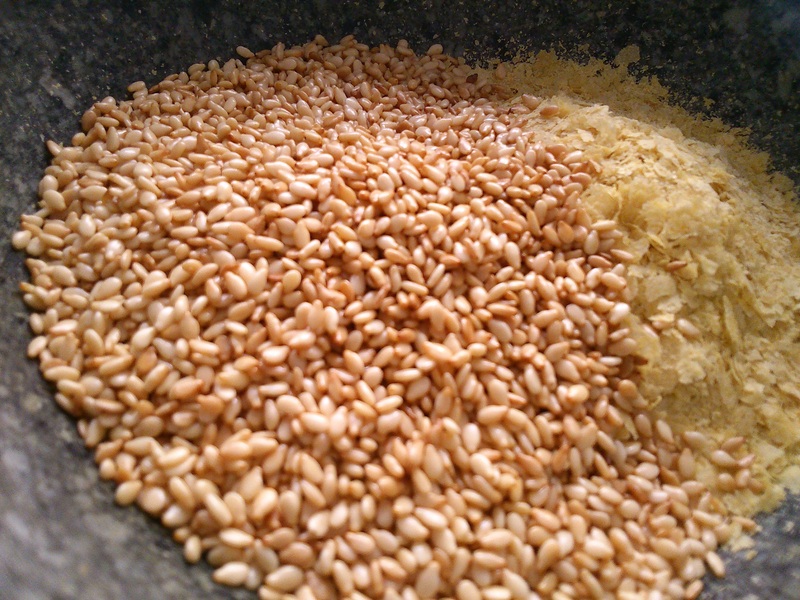 At this point stir the sesame seeds constantly until they are golden brown. They will smoke a little, but carry on until they are a good colour, this is what gives the sprinkle so much flavour. Tip the sesame seeds straight out of the pan when they’re done, they burn very quickly. Then simply grind all of the ingredients together! 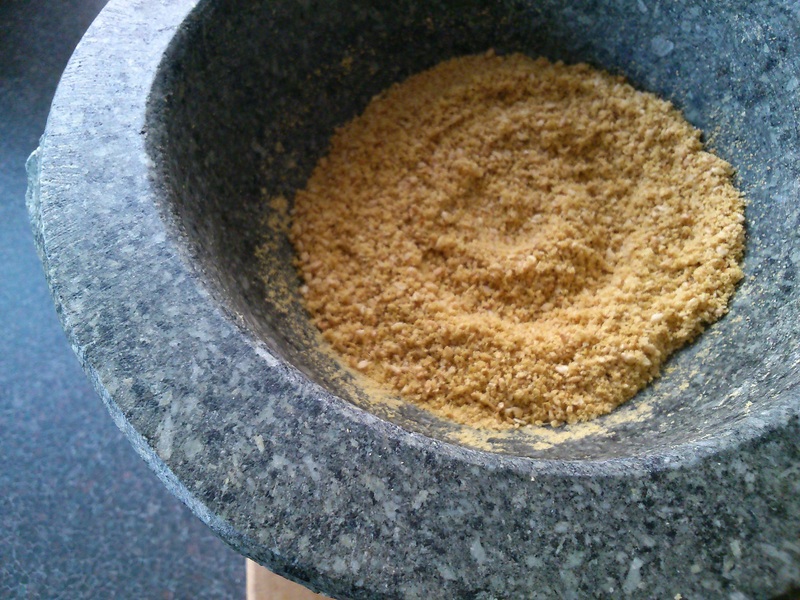 I use a pestle and mortar, but you could use a spice grinder too.